Got an oily bowling ball? In this buyer’s guide, we’ll show you 6 of the best bowling ball cleaners that money can buy. We’ll outline the differences between each brand, and also show you some key things to consider when buying. 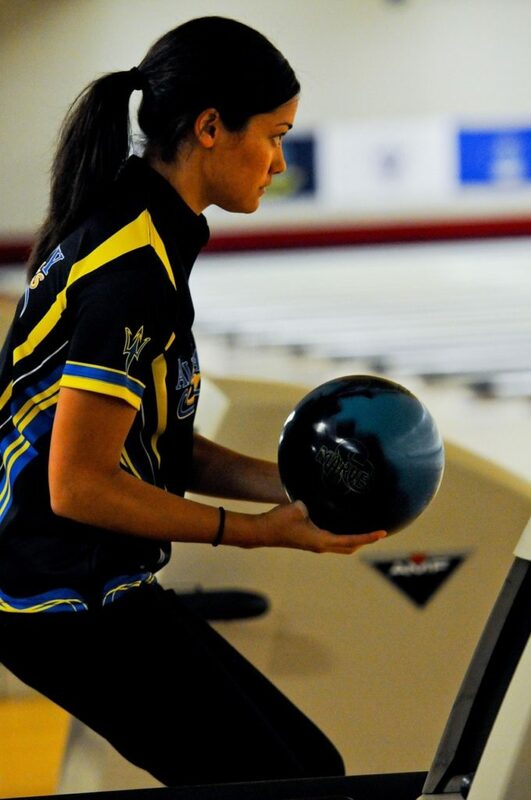 First, we’ll take a look at some of the best bowling ball cleaners available at the moment. This stuff is probably the best cleaning fluid on the market right now in terms of its effectiveness against oil. It’s so strong that the United States Bowling Congress (USBC) has only approved it for use before or after their officially sanctioned competitions. You’ll notice an immediate improvement in your hook with this cleaner. In fact, it can make your cover so grippy that you might even need to compensate for the extra tac. However, after a few practice throws you should be back to normal. Honestly, this is probably one of the only products on the market that can make your ball feel almost new without a full rejuvenation! What’s more, the price is very reasonable considering what you get. The only issue with this cleaner is that its strength can work against it in some respects. It won’t damage your coverstock, but Hook It might eat through some soft plastics, so be careful where you store it. Be sure to wash it off your cloth ASAP – you’ll want to do this anyway because it’ll pull out a heap of dirt. Incredible cleaning ability – pulls out a ton of oil & dirt. Offers heaps of hook – ball will feel almost new. Very, very strong stuff. But it’s supposed to be. Less cleaner is used per application, saving you money. There’s less of a smell when you apply the solution. The actual liquid is the same as the normal Reacta cleaner – it’s just the dispenser which is different. This means that you can refill the bottle as you would with any other liquid cleaner. So how good is this stuff for actually cleaning your ball? Well, it’s not quite as strong as Hook It, meaning it won’t quite pull out as much grease and grime as Neo-Tac’s product. However, it still does an awesome job, especially if you wipe down your ball at the alley. This cleaner is USBC approved for use at any time, so you’re safe to use it during play. Overall, if you want a cleaner that you can use in-game, isn’t super strong and doesn’t smell too bad, Storm Reacta Foam is a fantastic pick. Great performance – removes a good amount of dirt & oil. Doesn’t smell too bad – applies as a foam. USBC approved for before, during & after league play. None available – excellent cleaner for the price. Now let’s look at a budget cleaner. Monster Tac is some of the cheapest ball cleaner on the market per ounce. If you find yourself unimpressed with the performance of more expensive brands, it can be worth getting Monster Tac to save a bit of money, especially if you go through each bottle really quickly. This cleaner does a pretty good job pulling gunk off the ball considering its price. It’s very effective against most oils, and it pulls dirt out of the cover pretty well too. However, it’s not quite as good as some other more expensive products on the market. Because it’s not super strong, you can use it before, during and after USBC league play. The main downside to Monster Tac, like with other cheap options, is its smell. It has an odor that’s similar to Windex, and it’s quite noticeable when you apply the cleaner. If you’re sensitive to strong smells, it might be best to avoid this product. Good oil & dirt removal capabilities. If you’re willing to spend a few extra bucks, you can pick up That Purple Stuff. It’s essentially a premium option (similar to Hook It) that can be used at any time: before, during and after USBC sanctioned play. Although it’s not quite as strong as Neo-Tac’s product, That Purple Stuff pulls out very nearly as much gunk as the aforementioned product. Your ball will feel almost as tacky as it was when you bought it, allowing for better hook and more consistent strikes. Despite being pretty strong stuff, this liquid doesn’t smell as bad as most other cleaners and won’t melt through soft plastic. We definitely don’t recommend drinking it though! That Purple Stuff is for players who like to clean their ball at the lane with a proper cleaner that will pull a ton of oil out of the ball. The only downside is the price: it’s expensive, but we think it’s worth it. Awesome performance – pulls almost all surface-level oil & debris out of your ball. Can be used before, during and after league play. Bit expensive, but we think it’s worth it. We’ve looked at cheap and premium cleaners so far, but what about mid-budget options? Tac Up is designed specifically to improve your ball’s tackiness and therefore your ability to hook your throws. For maximum effectiveness, the company recommends that you leave the cleaner on your ball for 5-10 seconds before wiping it. This can be a bit annoying if you’re using it in between throws. However, considering the performance and the price of this stuff, it can be worth the wait. Tac Up won’t just pull oil and dirt out of the cover’s pores, it’ll also remove those nasty belt marks which normally take a lot of effort to clean off. It doesn’t smell too bad either – in fact, Tac Up is biodegradable, unlike most other cleaners. If you’re looking for excellent grip at a reasonable cost, try Tac Up and see what you think. Just be aware that it’ll take a bit longer to use than some other cleaners. Takes a while to use compared to other cleaners. This cleaner is a bit different to most others on the market. It’s actually a gel, rather than a foam or a liquid. This allows it to spread over the coverstock better and get into almost every pore on your ball. The cleaner is then able to lift out dirt and oil and remove belt marks using its degreasing ingredients. Because it’s a gel rather than a liquid, Motiv’s cleaner doesn’t actually smell that bad. The downside to this substance however is that it can be annoying to refill the bottle – you’re probably better off buying a new one each time. Power Gel is biodegradable, so the environmental impact of using this cleaner is minimal. At just over a dollar an ounce, this stuff is actually extremely cheap. It’s also approved for use before, during and after USBC league play, which is surprising considering how effective it is. If you’re looking for a solid all-around cleaner to use at the alley, give Power Gel a shot. Applies as a gel so it can cover all of the ball’s pores. Can be used during USBC play. Can’t be bought in bulk, hard to refill the bottle. 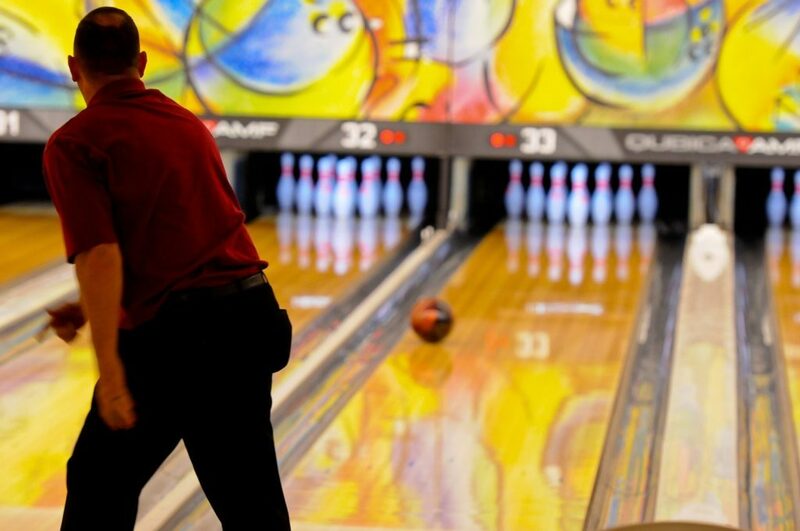 In this section we’ll explain everything you need to know about bowling ball cleaning fluid. Why Should I Clean My Bowling Ball? 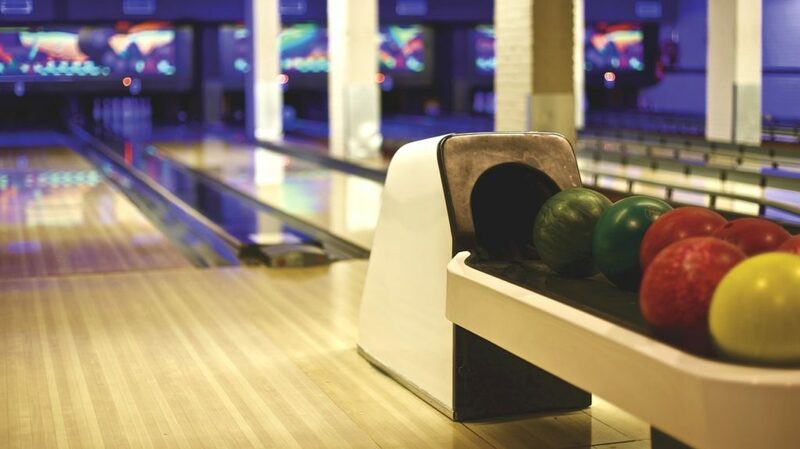 Ten-pin bowling alleys cover their lanes in different types of polish and oils to keep the surface slippery. 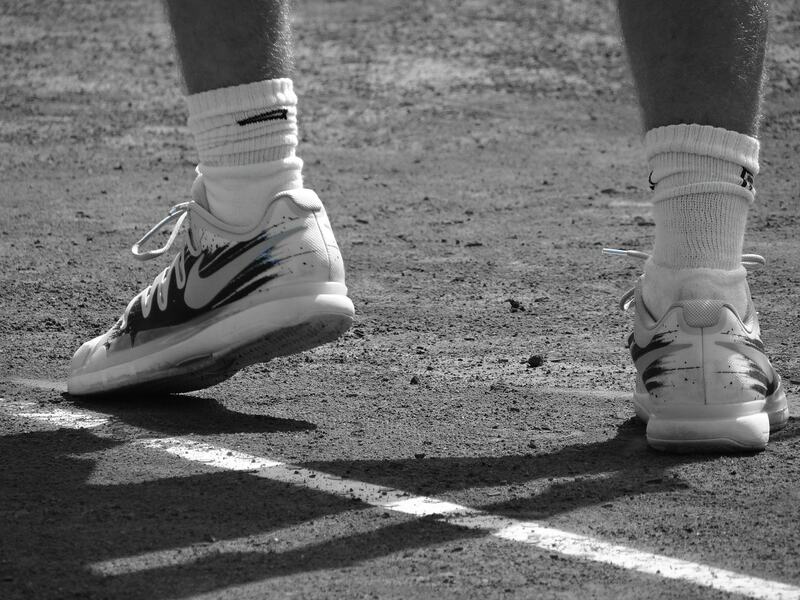 Players who then use alley balls (which generally aren’t cleaned very often) cover the lanes in other dirt and debris. When you bowl your cherished ball, it actually collects a fair amount of grease and grime from the alley floor and the ball return system. As a result, it loses its “tac” or ability to grip the lane. After 40-50 games or so, you’ll begin to notice your ball behaves differently if it isn’t cleaned. You might struggle to hook it, because an oily coverstock won’t grip as well as it would if it were clean. Therefore, cleaning your ball on a regular basis is essential. There are three different levels of cleaning you can perform. Ideally, you should wipe the oil off your ball after each shot you take. Depending on the substances your alley uses, you should be able to see a line of grease (called an oil track) on your ball after it’s been returned. This can be done with or without a cleaning fluid. Bowling ball see saws are made of microfiber cloth and are generally machine washable. They offer a more thorough clean than a simple wipe-over does, so they’re ideal for the end of a game. These slings can also be used to securely store your ball in a locker or at home. After each session, your ball needs a thorough scrub, preferably with a specially-designed liquid, to avoid residue buildup. Spray some of your USBC-approved cleaner onto the ball, before wiping the entire surface with your microfiber cloth. Generally you’ll want to do this before you leave the alley to avoid letting grease soak into the coverstock. It’s important to avoid using a towel that may scratch your ball or leave lint. That’s why pros use microfiber cloths – they’re normally used to wash cars, so they do a great job picking up dirt and oil. Brunswick makes their own cloths which are the right size and thickness for wiping bowling balls. Every so often it’s a good idea to take your ball to the local pro shop to have them rejuvenate it, so it performs like it did when you bought it. Normally players like to pull the oil out of the pores of their ball every 70-80 games or so. To extract 99.99% of the oil and dirt from the ball, a machine is used which heats the ball up to around 140 degrees, like a very precise oven. The machine monitors the temperature carefully to avoid damaging the ball. As the process occurs (normally it takes 1-2 hours) oil drips off the ball to be collected. You can do something similar with dishwasher detergent, a bucket, and hot water. Fill your bucket with hot water from your tap, at about 130-140 degrees. Tape the holes on your ball securely to avoid them filling with water. Let the ball rest in the bucket for 30-45 minutes, turning it around every 15 minutes. Tip out the water (the oil should rise to the top) and dry your ball carefully. Use a ball cleaning fluid to remove any leftover grease from the cover. This method is cheap but it’s not quite as good as a full pro shop rejuvenation. If you bowl a lot, it can be worth buying one of the machines they use so you can do it yourself. In the long run, this can be much cheaper and save a lot of time. Do I Need A USBC Approved Bowling Ball Cleaner? If you play in a league or competition sanctioned by the USBC, you’ll need a cleaner that they’ve approved. You can find their full list of approved products here. Remember that the USBC have two approval types: for use during play and for use before/after play. What most players like to do is use a clean cloth during play to remove oil, and a before/after cleaner (which tends to be stronger) when they go home. But this decision is up to you – use a milder liquid during play if using a microfiber cloth by itself doesn’t work well for you. Most bowling ball cleaner is sold in small 6-8 oz bottles. They’re easy to carry around and fit in your bag, but they will run out pretty quickly. Other cleaners come in massive gallon jugs. Most of the time these bottles don’t have spray caps, but if you like a particular cleaner and don’t want to be buying it all the time, these bigger options represent better value for money. What you can do is buy a small bottle that comes with a spray cap and try it out. If you really like it, buy a gallon jug and refill the smaller bottle every so often. Most bowling ball cleaners apply as a spray-on liquid, like window cleaner. However, some, like the Storm Reacta Foam version, use a spray-cap that produces foam. The cleaner in the bottle is still a liquid, which means you can refill it easily. The benefit of foam is that it tends to last longer as you apply less with each clean. Another reason to buy foam is it doesn’t usually smell as bad as some other liquid products. Gel cleaners on the other hand will cover the ball’s pores more thoroughly, resulting in a more comprehensive clean. However, they aren’t normally sold in large quantities and it can be difficult to refill your bottle. Ultimately, foam or gel isn’t 100% necessary but it can be nice to have. Sometimes these substances are a bit more expensive though. It’s definitely worth getting a premium ball cleaner that has a solid reputation in the bowling community. The best brands out there almost give your ball the hook you’d expect to get with a full rejuvenation! On the other hand, cheaper brands are basically repackaged Windex, with a few exceptions we’ve outlined in our reviews. They won’t draw out oil very well, meaning your coverstock won’t grip the lane. Some of them even use corrosive chemicals such as acetone which may damage your ball. Some ball cleaners (both cheap and expensive) have a strong nail polish remover smell. If this is an issue for you, steer clear of these cleaners because the odor can permeate your garage or house as well as your ball. 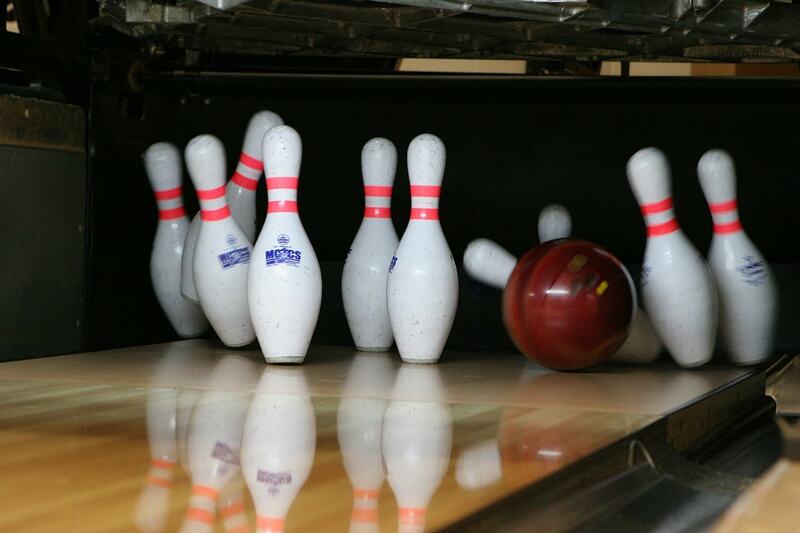 We hope you’ve found the bowling ball cleaner you were looking for! If you’re still unsure what to get, leave a comment below and we’ll respond within 24 hours.